Q: Felipe, let’s start with you. Another driver, along with Jenson Button who we’ve just been hearing from, who thought he’d done his last Monaco Grand Prix at the end of last year. How special is it to have another chance to race on the streets of Monaco again? Was it one that, when you announced your retirement, you thought ‘actually, I’m really going to miss that race’. Felipe MASSA: Ha, yeah. First of all, it’s always a big challenge to race here in Monaco. For sure I was thinking last year, maybe I will miss that challenge – but it’s always a different challenge, to get Monaco. You’re always learning things, every year. The way of driving, corner, so many different corners, is quite tricky. A big challenge for everybody, all of the years that you are racing here. I think this year will be even a bigger challenge. Tyres are wider. Big tyres. The car is bigger and the track is still quite narrow. It always has been: it will be even more for how big is the cars now. I remember when Nelson Piquet was saying in the past that racing in Monaco is the same as taking your bike and driving in the kitchen. It will be more or less similar this year. FM: Then, it’s so nice to have Jenson back. Everybody likes him. I just saw him down below. Really nice to have him back racing back with us. Hoping the best for him. Being behind me – but hoping the best for him. He can enjoy maybe the only race that he’s back. Nice to have him back. Q: Now the story of your season so far this year is an interesting one; you’re the only driver apart from the Ferraris and Mercedes who have started every single race in the top ten on the grid, and you’ve also finished every race but you’ve only scored 18 points, so what’s been happening on the Sunday? Is it strategy, is it bad luck, is it tyre management? Where can you find that bit that’s missing? FM: Well, not strategy, I would say. I had sixth position pretty much in my pocket in Russia and I had this puncture in the tyres, I had to stop. Then in the last race I was starting… the most important thing for me was to have a good start. I managed to pass Perez, Alonso at the start and then Fernando was on the outside of corner two and he was also… these two guys running, that they crashed, running outside of the… running into us so I had to go a little bit right and I had no idea Fernando was trying to go right. We touched slightly and my tyre was blown, so I was in front of them, I definitely had the pace to finish in front of them so what is that? Bad luck? Racing? It happens? So I don’t know but it was a shame because I know that if I had these two results that I was supposed to have in the last two races everybody would say things a little bit different than now. Q: Daniel Ricciardo, 2016 Monaco Grand Prix pole-sitter of course; the expression ‘unfinished business’ was invented to describe situations like yours this weekend, after what happened to you last year, is the car going to be suited again this year? What’s going through your head? Daniel RICCIARDO: We’ll wait and see. Certainly, yeah, looking back on last year, a bit of unfinished business but I will do what I can. I definitely come here with still good feelings, good vibes. The level of confidence is still high, I guess. We’ve got some new parts on the car. We had them in Barcelona, we saw it gave us bits and pieces but not as much as we obviously still desire. We’ve got more this weekend and probably more Monaco-specific as well, so hopefully that will give us more than it did a couple of weeks ago and give us a chance to start leaning on the front guys a bit more. Q: It’s clearly surprising to everyone that the Red Bull hasn’t been able to compete for wins and poles this year so far, even after that raft of upgrades but are the front two teams still catchable, looking to the next few races ahead, into the summer? DR: I’ll hope so. It’s hard to predict. I think it was in Bahrain, we seemed relatively strong in qualifying without too much of an answer and then we bring the update and we’re kind of still there, with that same gap. I think this weekend is a chance. If you put everything together in qualifying round here it can give you a good chunk of lap times. It’s just having that level of confidence around here which helps and then we’ll see, see what happens after this weekend. This one’s fun, yeah, looking forward to it. Q: Pascal, great result last time out, career-best eighth position in Spain, one stop strategy, perfect execution by you. What did that mean to you and the team? Pascal WEHRLEIN: I think it was great for everyone. It gave us big motivation. Of course the start of the season was difficult for me and also for the team so in my third race, to already score a few points is great and everyone is happy and everyone is pushing really hard. As I said, it’s giving us big motivation. We have some new parts on the car this weekend so hopefully in the future we can see results like this more often. Q: Well the four points have put you ahead of McLaren and this is clearly an important race for them to score points, so how intensely will you be focusing on racing and covering them this weekend? PW: I think not at all. We are focusing on what we can do, on our maximum. You know it’s still very early in the season so we just try to extract the maximum from the car and we will see where we finish but I think it’s too early now to say we are covering McLaren. Q: (Louis Dekker – NOS) Daniel, your qualifying lap last year; was it perfect or near perfect and how much quicker do you think the new car will be? DR: I think from my side, I thought it was all I could do. I was really happy with the lap with the tools I was given but I felt like we could have had a better car in some areas of the lap, so I felt a bit limited. I remember through Casino Square there was still quite a bit of understeer, so yeah, it didn’t feel like the front tyres were probably still where they needed to be but yeah, I was pretty happy with the rest. And then yeah, this year it’s hard to predict the lap times. We’ve seen on some tracks we’re three or four seconds quicker and others just maybe one and a half or two. But yeah, 13.6s… if we get below 1m 12s we’re going pretty quick around here. I would expect below 1m 12s, yeah. We’ll see. Q: (Leigh Diffey – NBC Sports) Mate, in regard to what went down last year which denied you the victory, did anything change internally within the team as far as in-garage procedure or protocol to ensure that that would never happen again? DR: Yeah, they went to some old-school spanking techniques with a big wooden… cricket bats, pretty much, as we call it! And beyond that, the physical pain there was certainly some… there was no physical pain for the record! Not that I know of. But there were certainly some things which were already in place for Canada, some systems stuff within the garage, as opposed to just radio communications, let’s say. There were actually displays that were put up around the garage which were clear for more people and they kind of knew what was happening as opposed to just verbal communication which can sometimes be more confusing, obviously in the heat of the moment. Yeah, that was solved immediately which was obviously nice. 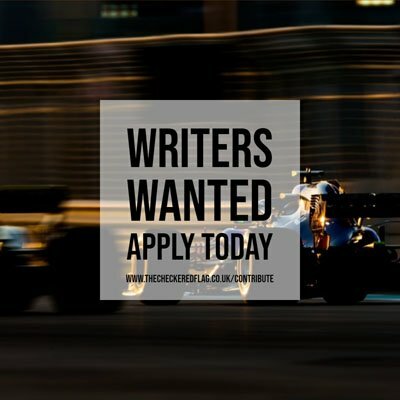 Q: (Jerome Pugmire – Associated Press) Felipe and Daniel; you’re both vastly experienced drivers, I just want to hear your perspective on Esteban Ocon’s form this year and what qualities you think define him as a driver, from what you can see? FM: Well, I think he’s doing a good job. I think he’s learning, race by race. I think he’s starting to get quite competitive with Perez, race by race. They managed to do a good job in Barcelona. Unfortunately. I could have been in this fight. I think he’s showing good performance so he’s growing, learning and yeah, I’m sure the team is happy with what he’s doing. DR: He’s obviously quick, he proved that in junior categories. I think it was with him and Max in Formula Three, from memory, who were in the title hunt. You know Esteban got that, so he’s obviously talented. Max has already proved himself. These days it’s a lightweight sport as well and Esteban probably weighs 48 kilos dripping wet so that certainly helps. Q: (Livio Oricchio – GloboEsporte.com) Considering what you have been seeing from the tyres this year, is it realistic that with the case of a safety car at the start, for example, most of the drivers pit and then go through with the same set of tyres to the chequered flag? FM: Yeah, maybe. Maybe, yes, especially on this track. If you have the opportunity with the safety car, not to even gain… maybe staying in a good position, so maybe people will try. It would be a little bit of a shame for this race, one stop is definitely not great. I remember we were even talking in the last [drivers’] meeting with Charlie and even some drivers were asking maybe it is supposed to be two stops, it needs to be two stops for everybody and then the race will be nicer, it will be more fun, it will maybe… something’s going to happen for the strategies, that it can work better for the show also. DR: Yeah, certainly you could get through the race on the same set of tyres. We talked about ideally… OK, we go softer with compounds but maybe we even have a Monaco tyre, that would be fun. Then obviously it needs testing and all that so then it.. whether it’s easier said than done, I don’t know but a Monaco-specific tyre would be cool, like something super super supersoft and then yeah, you would probably… inevitably going to have to make more than one pit stop. PW: I think in terms of wear it’s really – as Daniel said – it would be an easy one-stop. It’s just about keeping the temperature in the tyres, so I think that’s the most important thing this year. Our one stop in Barcelona, for example, only worked because we could keep the temperature in the tyres. We are not limited by wear, we are limited by the temperature and I think that’s the most important thing this year, also for Silverstone, we discussed that the hard tyre is way too hard, it was way too hard for Barcelona. We as drivers want to go a bit softer. Q: (Louis Dekker – NOS) With the new cars, especially the bigger tyres, might this be a big problem on lap one because there’s not much space in turn one and other places? DR: Ideally I repeat last year and don’t worry about that but generally, yeah, it’s always tight around this track, even now, I think, because what have we got, I think 200mm, 20 centimeters wider. It doesn’t sound like much but then when you put all the cars together and on a tight circuit like this you see it and you notice it straight away, I’m sure. Qualify well, that’s going to help. PW: Yeah, so obviously Saturday’s the most important day but then some corners are very tight and especially when you are in the midfield it’s quite exciting, yeah. FM: Yeah, as I said, it will be quite tight this year. I remember sometimes you’re just kissing the guardrail a little bit and maybe we will have a lot more kisses this year and maybe it can be a little bit more than a kiss! Maybe a punch in the face if you kiss too hard. As I said, it will be a little bit an extra challenge for all of us and I really hope that we can have a good weekend. Q: (Livio Oricchio – GloboEsporte.com) Felipe, high downforce circuits are not the best for your car. It was in the past, it looks like it continues this season despite the change of regulations. So is it realistic to believe that you can be strong here or do you think Force India can beat you? FM: Well, actually in the last three years, this was the worst race for us, it was terrible, the feeling that you have here on this track, definitely was not the right track for our car in the last three years, but you need to keep in mind this time it’s different rules, different challenge for so many different reasons. The only thing I can say and I can be a little more optimistic is that in the last sector in Barcelona we were not so bad this time. We were terrible in the last three years on that sector, so I would say that maybe it can give you a little bit extra… making you a little bit more optimistic, that something can work in a little bit different way and the car can be a little bit more competitive than how it was in the last three years.